The McNamara Fitness Center, located inside the Jenny Craig Pavilion, is a wonderful 4,000 square foot facility designed to meet the needs of University of San Diego students, faculty, and staff. The Center has a large cardio area with 9 treadmills, 6 elliptical trainers, 4 stationary bikes, 2 step mills and 1 ergometer. Additionally you will have access to a full line of Hoist Fitness machines and a wide selection of free weights including bench presses, squat racks and Db’s up to 120 lbs. The Center is unique in that it houses 3 Olympic platforms with over 500 kg’s Werksan and Kraberg bumper plates. 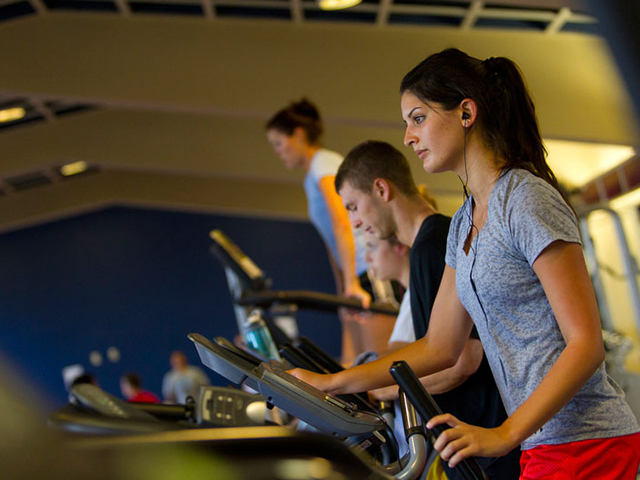 The McNamara Fitness Center offers Cardio Theater that you can link your headphones to while using cardio equipment so you can watch and listen to your favorite shows while exercising. 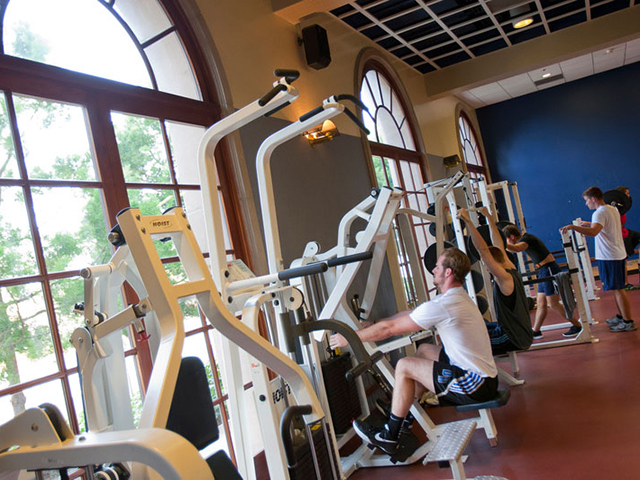 You are encouraged to access the University's own personal trainers to help you reach your fitness goals.